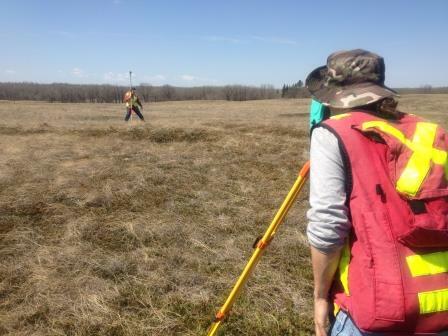 BRANDON, MB – A community outreach program which has funded projects as diverse as attracting new campground users, to mapping World War l trenches, to measuring the response of emergency services, is accepting new proposals. The Brandon University (BU) Community Outreach Service contributes as much as $3,000 per project to organizations and individuals wishing to collaborate with the University on research initiatives. Projects can be proposed by community members, University employees or students but must involve a faculty member to be eligible for funding. Each year, the BU Community Outreach Service, with funding assistance from Manitoba Agriculture, Food and Rural Initiatives (MAFRI), helps facilitate six to eight new research projects impacting agriculture and rural areas. Other previous projects involve water analysis in Killarney Lake, music programming in rural Manitoba, and turning fish into fertilizer. The deadline for new applications is Monday, October 28th, 2013. For more information, please visit http://outreach.brandonu.ca.